Are drafts and cold spots on your walls making your home less comfortable? Those are just some of the problems associated with little to no insulation in the exterior walls of the home. Other issues include high energy bills, moisture problems, and drafts coming through outlets, just to name a few. With more than 15 years of experience insulating homes across the lower peninsula, RetroFoam of Michigan has seen and helped fix thousands of issues with exterior wall insulation. As a part of our ongoing efforts to inform our customers, we have compiled a list of the top five exterior wall insulation problems and how to fix them. Moisture issues inside the wall. Little to no insulation in your walls can allow moisture to get into the cavity. If moisture does get in, mold and mildew can begin to grow and create a health hazard. 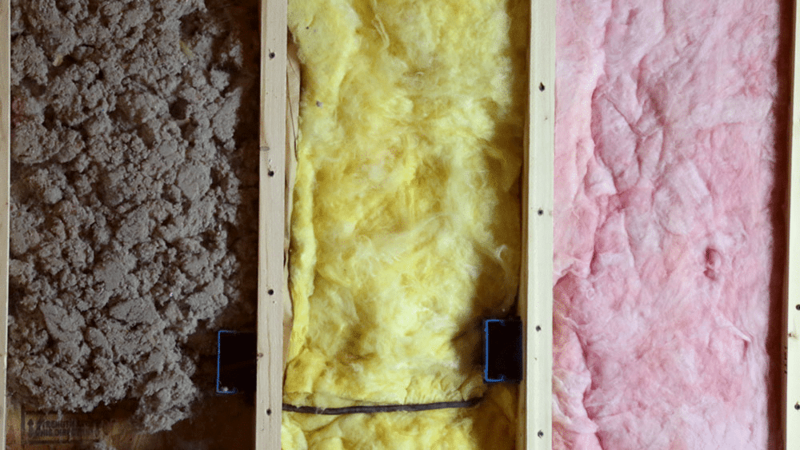 If you do have traditional insulation materials like cellulose or fiberglass, they can retain moisture keeping it in the wall cavity promoting mold, mildew, and rot. Solution: The best fix to this issue is to ensure your wall cavity is filled with insulation. For existing walls the best option that doesn’t require tearing down drywall is a blown-in material or injection foam. The benefit of foam insulation in the exterior wall when it comes to moisture is it doesn’t provide a favorable material for mold to grow in and most foam products contain no food value for mold. Foam insulation also creates a needed air seal. Traditional insulation settles over time. Traditional insulation materials like cellulose and fiberglass have a tendency to settle and sag over time. When this happens it allows for air leakage that makes the home uncomfortable – cold in the winter and hot in the summer. This will also make the furnace and air conditioning unit work overtime. Solution: The only answer is to add to or replace the cellulose or fiberglass in the exterior walls. Injection foam insulation can also be installed and doesn’t need to be regularly maintained, doesn’t settle over time, and doesn’t sag or lose its shape. Condensation from cold weather can get into the wall cavity. Condensation from cold frosts can seep into the exterior walls after the frost has thawed. It is caused by outward air leakage. If there is little to no insulation in the cavity, or with traditional insulation materials, this can cause rot in the wall, as well as promote the growth of mold and mildew. It can also cause paint to bubble peel. Solution: An air barrier must be created to stop the air flow. Cellulose and fiberglass don’t fully stop the flow of air on their own. It is possible to use caulk around the stud seams and joints when the fiberglass is installed in the open wall cavities. Injection foam works as an air barrier once it is installed. Cold spots on external walls. Cold spots on exterior walls occurs when areas of the cavity don’t have insulation. This can happen over time when cellulose settles and fiberglass begins to sag. This can also happen if the insulation wasn’t properly installed. These cold spots can make the room uncomfortable and cause the furnace to run overtime leading to high energy bills. This can also be an issue around windows that have not been installed properly, leaving a space void of insulation. Solution: Making sure the exterior wall cavities are filled with insulation is a good start. Creating an air barrier that limits or stops the flow of air through the wall will help reduce monthly energy bills while keeping the home more comfortable. Making sure to fill those voids around windows will also help to reduce cold spots on windows. Drafts coming through outlets and light switches. A lack of insulation in the exterior walls can lead to cold drafts coming through electrical outlets and light switches. These cold drafts contribute to high energy bills, as the furnace is constantly running. Solution: Filling the external wall cavity with insulation will help reduce the drafts depending on the material used. Fiberglass and cellulose still allow for some air movement. Injection foam insulation will create an air barrier while not settling or sagging over time. Canned foam may then be sprayed around the outlets and light switches to ensure those drafts are stopped because the those boxes may extend to the back of the wall cavity. Understanding how different insulation materials work in your home and what to look out for could help answer some of your exterior wall insulation problems. When looking for a better, long-term solution to fix their exterior wall insulation problems, some homeowners have made the switch to injection foam insulation since it is a quick and easy install process and acts both as an insulator and air seal. If you are interested in learning more about the benefits of foam insulation, check out our learning center.